I’ve just returned from another whirl-wind adventure abroad – this time to Nepal. 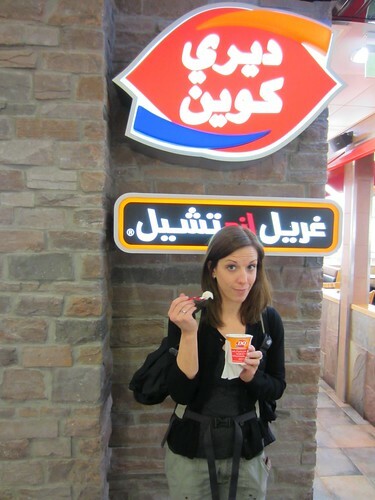 Some may remember the Yak-filled two-weeks I had in China and Tibet. Personally, I was a bit worried Nepal would end up being the same. 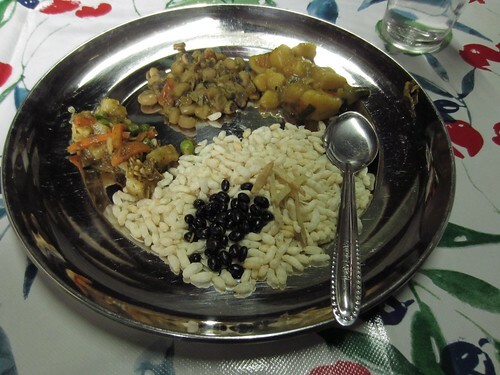 However, I’m happy to report that the Himalayas appropriately divide Nepal and Tibet in both geography and food. 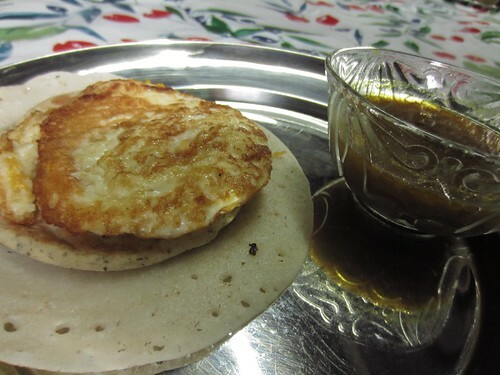 The cuisine was very much more influenced by India, but with just a hint of Chinese. In other words, pretty damn good. 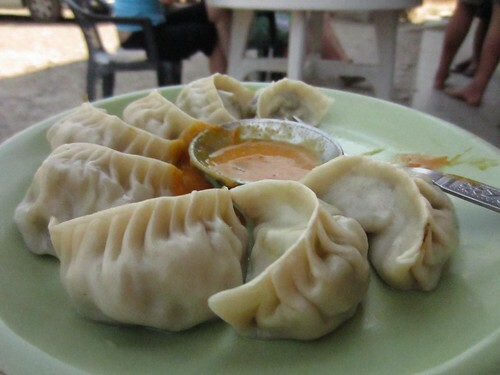 More momos... 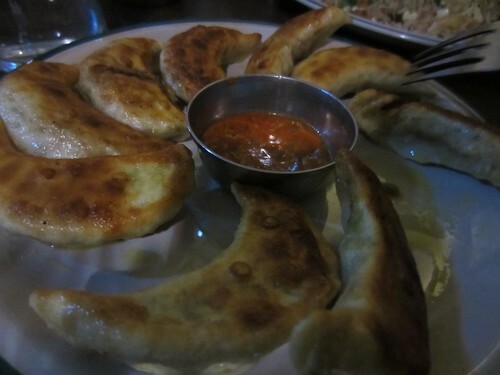 This time half steamed, half fried, filled with buffalo. Delish! The Hind’s Head in Bray was an afternoon of seconds for me. The second time I’ve dined at a Blumenthal restaurant, the second time I’ve actually seen Heston in the flesh (the first being a sherry tasting at Shoreditch House many, many moons ago) and one of the few times I’ve ordered seconds of something at the table. Walking in, I felt immediately in good hands. The place is warm, woody and welcoming – very much a mix of that old pub style with unencumbered luxury. Somehow the fine china, white linen and Tudor-style ceilings so low even a 5’3″ gal like myself had to duck for, work together. I decided to start with a couple nibbles in place of a full starter. 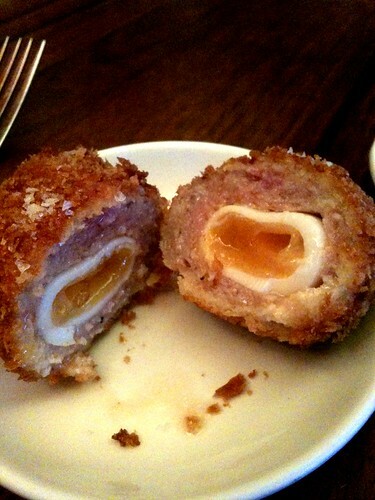 The Scotch Egg (£3.50) in all its glory was marvellous. A very nice crispy exterior sprinkled with fresh sea salt flakes, opened up to a gooey (but not too gooey) quail’s egg hugged with minced pork so fresh and tender, you’d think it was picked off the farm that morning. Hell, it probably was. 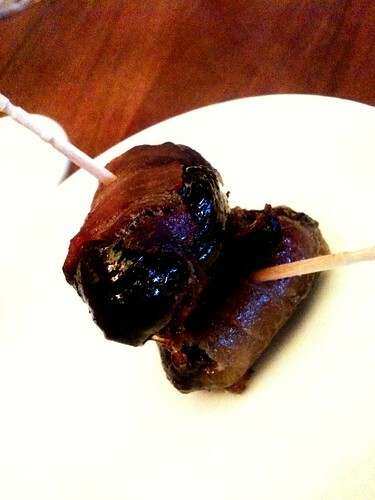 Bacon-wrapped, pitted dates. Nothing particularly earth-shattering, but I’ve always been partial to the bacon/fruit flavour combo. Considering it was taken on an iPhone 3GS, this is a photo I’m particularly proud of. It’s bright, colourful and almost looks like a transparent background. 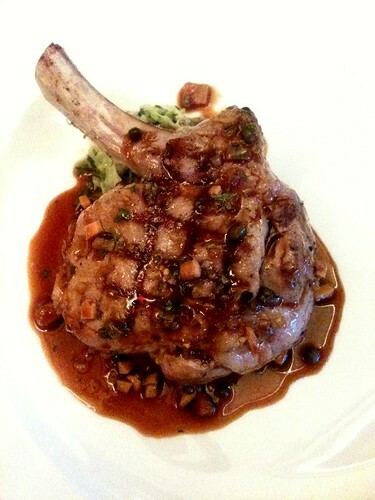 Luckily, the dish tasted as good as it looks. But as good as the veal was, it was shadowed by something infinitely simpler: Chips. Delicious, delicious triple cooked chips. 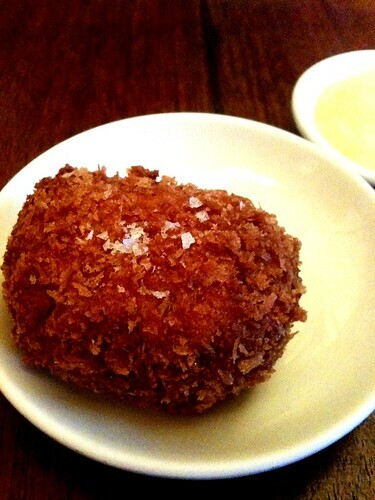 Piping hot, crispy on the outside, salty, not greasy Heston chips. I couldn’t get enough of them, so I ordered seconds for the table. It may not be as flashy as its flashy molecular gastronomic neighbour, The Fat Duck, but it is good, proper British food with incredible service in an idyllic village setting. Anyone could complain a bit about value for money when talking about Heston Blumenthal, but you don’t book a table unless you’re planning on spending about £100 a head – simple as that. With those expectations, The Hind’s Head was a fantastic experience. Now, I just to save up my pennies and complete the trifecta.